Time: 7:00pm. The show was at Godset in Kolding. Time: 7:00pm. Address: 19 Bahnhofstraße. Time: 6:00pm. Address: Gammeltorv 10. Time: 7:00pm. Address: Anker Engelundsvej 1, bygning 101, indgang E.
Age restrictions: All Ages. Estonian folk festival presenting Nordic music. 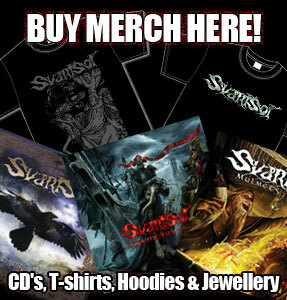 Other artists include the Danish folktronic band Sorten Muld and the Estonian folk metal band Metsatöll. Time: 8:00pm. Address: Tobaksgården 7. Venue phone: +4564712031. Time: 9:00pm. Admission: 50kr / 70kr. Age restrictions: All Ages. Address: Nrd. Ringgade 3. Venue phone: +45 86183021. 20 kr will be added to the ticket if you buy the tickets right before the show at the venue. Time: 12:00pm. Address: La Machine du Moulin Rouge. Time: 9:00pm. Admission: 80 Dkr / 90 Dkr. Address: Helligkorsvej 2. Time: 9:30pm. Admission: 120 / 160. Address: Grønnegade 10. Time: 9:00pm. Age restrictions: No Minors. Address: Gothergade 8H. Address: Klausdalsbrovej 336. Venue phone: +45 44526057. Address: Smallegade 4. Venue phone: +45 97225510. Address: Øster Alle 46. Venue phone: +45 69960040. Address: Løngang 1. Venue phone: +45 74422601. Address: Gammeltorv 10. Venue phone: +45 98114312. Address: Kærvej 11. Venue phone: +45 86321633. Address: Vesterbrogade 10. Venue phone: +45 86628322. Address: Store Torv 6. Venue phone: +45 56959404. Address: Møllegade 36. Venue phone: +45 62213090. Address: Jernbanevej 16. Venue phone: +45 29615225. Address: Sdr. Stationsvej 3-5. Venue phone: +45 58501070. Address: Øresundsvej 6. Venue phone: +45 32860200. Address: Dr. Hans Kapfinger Str. 7. Address: Pier Alessandro Paravia 59. Address: Von Hattenstræde 7. Venue phone: +45 86433318. Address: Nrd. Ringgade 3. Venue phone: +45 86183021. Address: Teatertorvet. Venue phone: +45 75624622. Address: Vester Allé 15. Venue phone: +45 87309797.